Libby Morag: a moment in time. For this brief, our tutors gave us a date in the past with two events which took place during that year. With that as a starting point, we then had to come up with a piece of design which portrayed that event and era effectively. My moment in time was the voting age being lowered, and I therefore researched the protests that went on, not only for the voting age to be lowered, but also for other events of the time such as the war in Vietnam. I decided to create a typeface, which I called 'picket type'. It was created using gaffa tape - typical of how type is produced on picket boards. I then imposed black & white images of protests and rallies into the letterforms. I decided to use all caps as I felt it relevant to the tone of a protest. 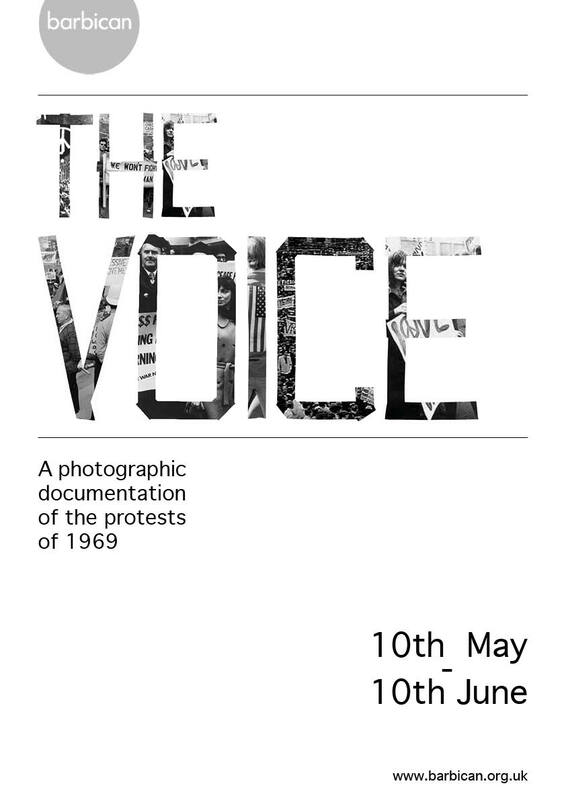 I then developed my typeface to be put to use in an exhibition displaying photographs of protest scenes. 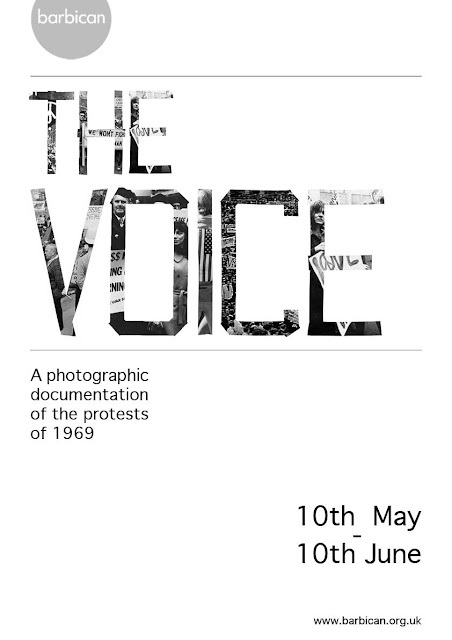 I created a poster for this exhibition which I named 'The Voice'. This poster was printed onto fabric to keep in line with the type of materials used in protests, alongside T-shirts and vests with slogans on. When I presented these at my tutorial, the first thing Ellie said to me was "you've been enjoying this project haven't you"? Well yes, I have actually.